While you can use a laser rangefinder designed for hunting to help you on the golf course, chances are you will look a bit silly doing so, especially if it is a model with a camouflage pattern. All those extra bow and rifle hunting modes will also go to waste. 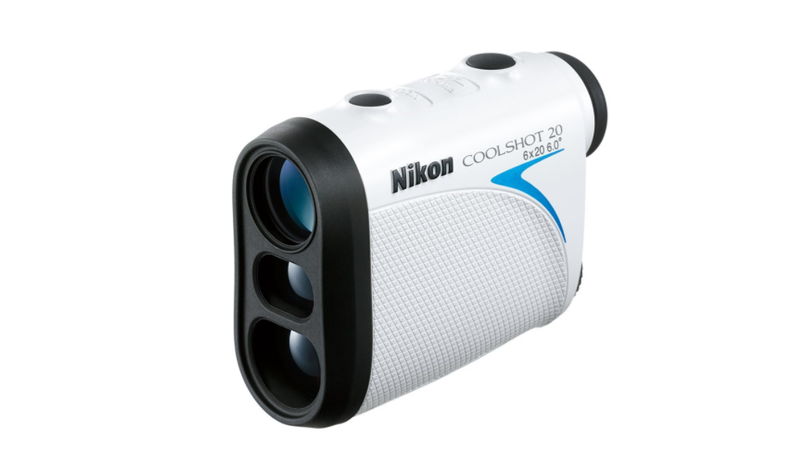 The solution is a rangefinder that is specifically designed for the golf course, such as this Nikon COOLSHOT Laser Rangefinder. It has the Nikon branding which is synonymous with quality and it has been designed from the ground up to be an invaluable tool for golfing. Of course, even the best brands are not immune to making mistakes or releasing products that are not up to scratch, so let’s check out if the Nikon COOLSHOT is worth the price to take with you only your next trip to the golf course. 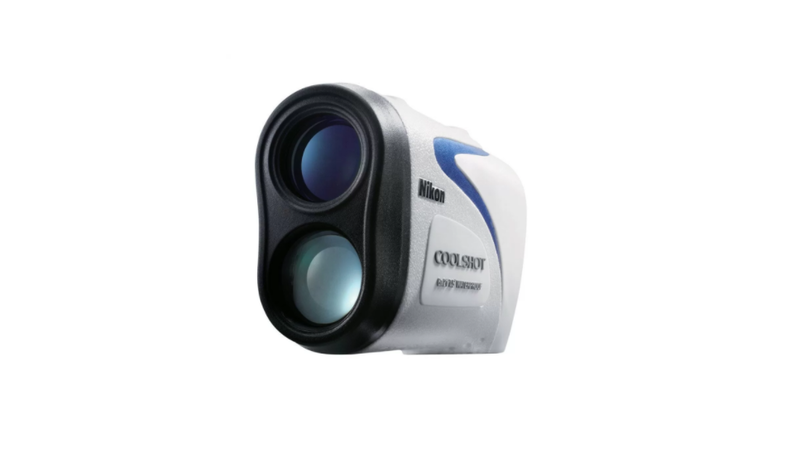 The Nikon COOLSHOT Laser Rangefinder has a professional, sleek design that immediately looks like it belongs on the golf course. It is incredibly compact and only weighs in at six and a half ounces. This means you can easily carry it around your next or clip it to your belt without even feeling the extra weight. Golf gear is already heavy enough as it is, so it is a relief that the COOLSHOT doesn’t weigh you down even further. 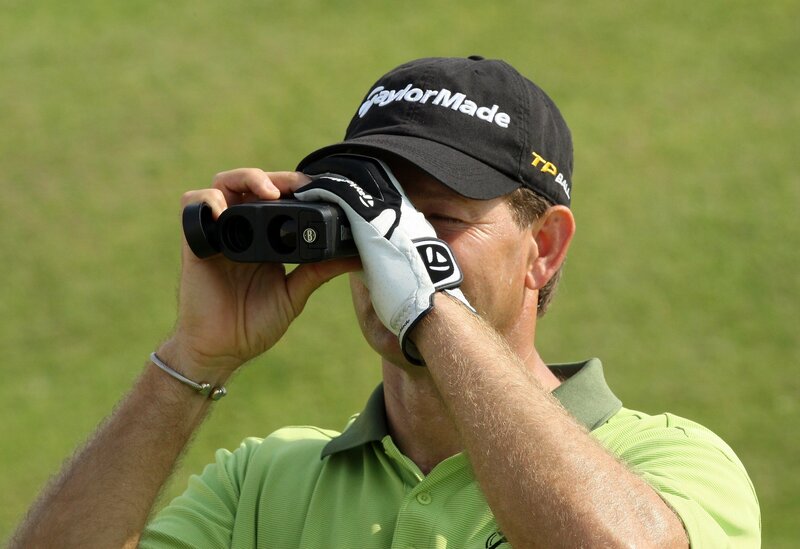 The light weight also means that it is easier to hold the rangefinder steady when getting a reading. What is more, from a purely aesthetic point of view the COOLSHOT is quite good looking and no golfer will feel embarrassed about being seen on the course with it. However, if you are in the habit of getting your hands dirty out on the course you had better be prepared to clean this rangefinder regularly. The ergonomic design of the COOLSHOT means that it is very straightforward to operate using just one hand. It fits snugly in the palm of my hand and the buttons are within easy reaching distance. It is protected by a white rubber coating which not only provides a comfortable grip, but also protects the rangefinder from bumps or falls. Very dedicated golfers will be happy to hear that the COOLSHOT is completely waterproof, so if you are crazy enough to play in the rain then this rangefinder will be happy to oblige. The COOLSHOT boasts an 18mm ocular lens and thanks to the multilayer-coated optics by Nikon the view is crisp and bright. In fact, some golfers even reported being able to range a flag through the windshield of their golf cart which isn’t possible with many rangefinders. It has a wide field of view and the comfortable eye lens has a diopter for adjusting the crosshairs. The COOLSHOT is powered by a CR2 lithium battery and to conserve battery life will automatically switch off after eight seconds. The COOLSHOT doesn’t just look good though it is practical as well and has all the features you would want out on the course. The unit comes packed with pin scanning technology which allows you to easily range the distance to the flag or pin by simply scanning across the backdrop of the green. You don’t even have to worry about hand shaking interfering with the accuracy as the unit allows for eight seconds of continues ranging with a single button push. The COOLSHOT can accurately measure distances from 11 yards all the way up to 600 yards. Incidentally, this rangefinder uses yards as the default measuring unit, but you can also change it to meters if you prefer. This is done by simply holding the “Mode” button for two seconds which is much more convenient than rangefinders that requires to be switched off before you can make the change. The rangefinder also features a backlight function, but since I don’t play golf in the dark I didn’t find much use for this function. Since this rangefinder doesn’t provide data about slopes it is legal to use in tournament play. If you are looking for a solid and reliable rangefinder to use when golfing the Nikon COOLSHOT definitely delivers. It is durable, fast and accurate enough to be a real advantage out on the course. The design and lack of features such as ARC means this rangefinder is not exactly suitable for hunting, but then again it was never intended to be. Keep this in mind if you are looking for a multi-purpose rangefinder that you can use on the golf course and on hunting trips. Overall though the COOLSHOT is very impressive and as you can see from the list of pros and cons below there is very little that I can fault about it. The Nikon COOLSHOT is not going to make you a golfing pro overnight, but with regular use you will find that it can make a big difference for your game. As it is designed for the golf course it doesn’t have all the bells and whistles you’ll find on a hunting model, but this will only matter to those looking for a multi-purpose rangefinder. The LED illumination felt like a bit of a gimmick to me, but anyone that plays golf in low light conditions will probably appreciate this feature. The fact that the COOLSHOT is so easy to operate means that I can heartily recommend it to anyone that ever felt like they needed a little extra help measuring distance out on the golf course.